In March 2016 we spent four weeks traveling through Myanmar, encountering exciting locations and fascinating people. I am a field recordist by trade, which is why you will find the odd sound recording embedded in this article. But apart from lugging around recording gear on top of all the other baggage, I am just like any 'normal' [ insert your own term for anyone not into sound recording ] traveler -- except I would probably get bored if I didn't have to chase after interesting sounds on holiday! The rough idea was to travel by train from Yangon via Mandalay (and over the Goteik viaduct) to the Shan state and, possibly, to trek into the Hsipaw jungle. The Inle lake is also a must-see when traveling through Myanmar. Then we were undecided whether to travel north or west. 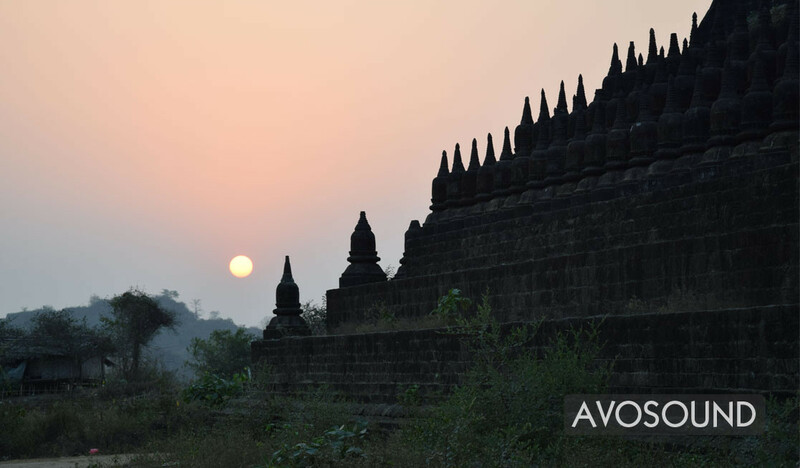 Visiting Bagan is a must, as it's one of the most important historical sites in Asia (apart from Angkor Wat), so we decided to go there and do a little detour to Mrauk-U as well. Sound recording: Yangon side street atmosphere with lots of market vendors - I wonder what the message on the PA system actually means? Picture: the impressive temples of the old king's city Mrauk U look very different than other temples in Burma. If you want to visit Mrauk U [ pronounced 'meouw-u', like the cat noise ] you will have to prepare yourself for a long bus ride. Our trip in a wood-cladded vehicle took almost 20 hours (despite the fact that our driver went nonstop, pedal to the metal). And this doesn't even include the six hours we spent waiting for the bus in a tea house in the middle of nowhere. While this is the sort of trip that would make an adventurers heart beat faster, it is not the ideal way of traveling for people who don't enjoy crossing mountain passes in a rusty old vehicle, stuck between suitcases, vegetables, kids and Burmese locals. There are more comfortable ways to travel from Sittwe to Mrauk U, namely by plane to Sittwe and then take the ferry to Mrauk U. Feeding pigeons apparently helps your karma. Sacred or not, they still tend to crap on your head, so don't forget to look up! 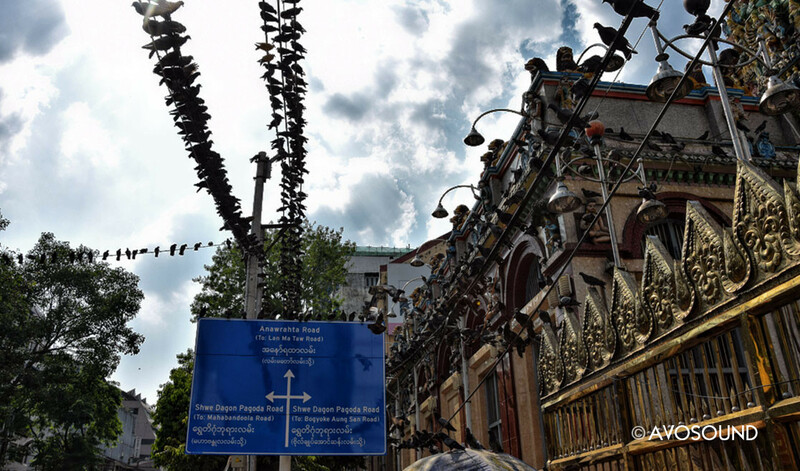 In the first part we dive headfirst into the crowded streets of Yangon. And we learn that it is better to walk on the bright tiles when visiting a pagoda (yes, darker colours get hotter in the sun!). We will also take a bus to Mandalay where we'll meet the king and Mr Take it Easy. Let's roll!